OK, so before we start, a small declaration of interest: the product manager at Bowers & Wilkins, Andy Kerr, is a fellow What Hi-Fi? exile who’s fallen on his feet with an enviable – and well-deserved – job at Britain’s leading loudspeaker company. You can see him talking about the thinking behind the latest 600 Series models in a YouTube video from Audio T, which I was involved with shooting at this year’s Bristol Show. If you form the impression that a) he’s a bloody nice bloke and b) he knows his stuff, you won’t get any argument from me. Right, that’s got him blushing – now on with the speakers. 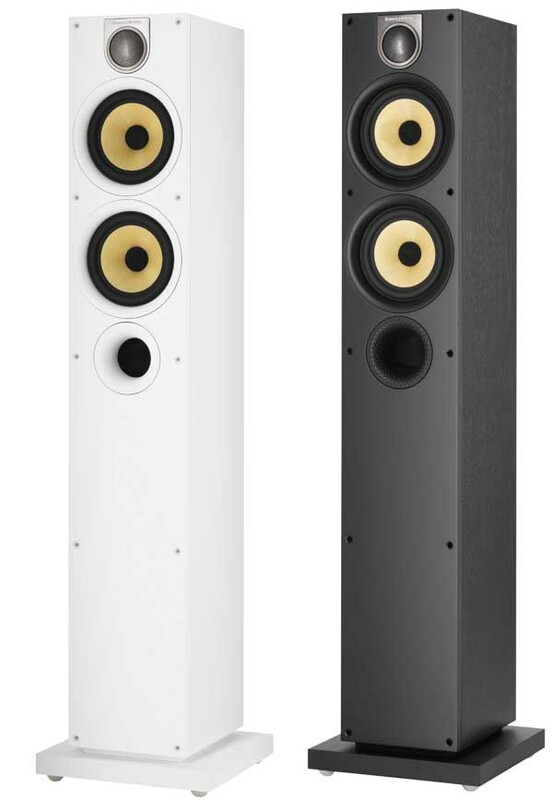 The 684 S2 is the smaller of two floorstanders in the new 600 line-up: in that slightly wacky way they have down in Worthing, within each series the larger the number the smaller the speaker. 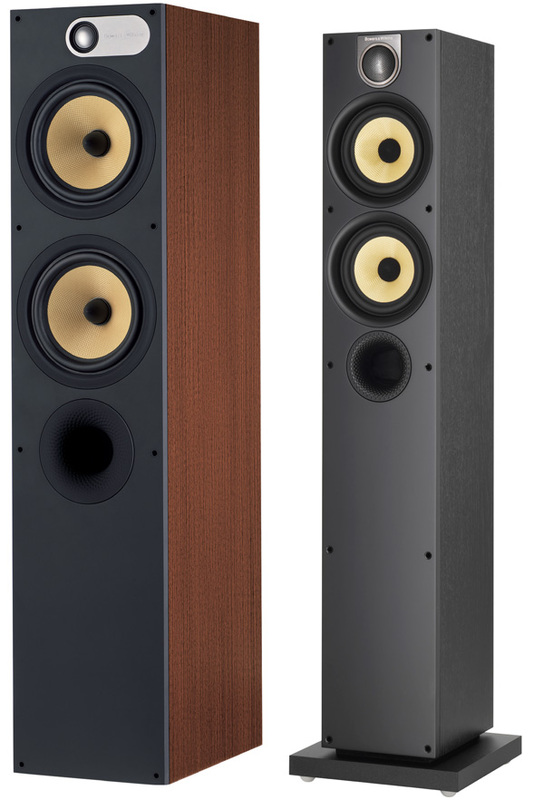 So the range kicks off with the little 686 S2, at £350 a pair, and progresses through the larger 685 S2 standmounts (£500/pr) up to the big 683 S2 floorstanding model (£1150/pr), also taking in a choice of centre- and rear-channel speakers, plus subwoofers, for surround sound use. The 684 S2 we have here, very sensibly priced at £800/pr, is both slim and compact: it’s just 16cm wide and a bit over 23cm deep, and stands 92cm tall, with the stabilising plinth adding a little to the height and more to the width. That slimming-down has been helped by the adoption of smaller drive units: the S2 version of the 684 uses two 13cm mid/bass units in place of the 16.5cm drivers of the old model, B&W saying that advances in technology have enabled improvements in performance despite the smaller cones, and that the smaller voice-coils employed here increase sensitivity. As has long been the way with the 600 Series, the new models make use of technology trickled down (or ‘cascaded’, as Kerr puts it) from products further up the company’s range. The most obvious example of that is the use of B&W’s yellow woven Kevlar mid/bass cones, long a hallmark of both the B&W range and the 600 series, and now widely copied both in the weave and in some cases in the colour. The bright yellow B&W cones were striking back in 1995, and still are almost two decades on. But there’s more cascading in the detail: here, the drivers use Anti-Resonance Plugs derived from the company’s PM1 speakers, and designed to improve pistonic movement for distortion-free midrange performance while also keeping the cone from getting out of shape – or going ‘out of round’ – under duress. This in turn helps keep resonances at bay. Bass tuning employs a front-venting Flowport tube, the inner surface of which is dimpled like a golf ball to smooth the flow of air and avoid ‘chuffing’ caused by pressure build-up in the port, with two-part foam plug/rings provided to allow the user to reduce the amount of bass delivered if required. 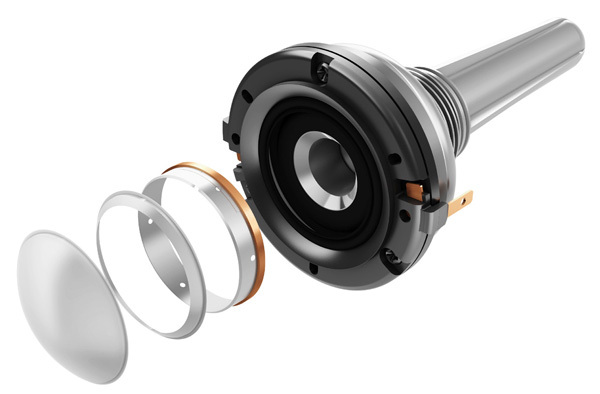 Above these drivers, and mounted in its own gel-filled cavity to decouple it from the main cabinet, is the new 25mm Decoupled Double Dome aluminium tweeter, which uses a cut-away second skin on the dome to improve rigidity without adding too much mass. That technology is drawn from B&W’s CM10 speaker, while the Nautilus tube loading behind the dome is derived from models stretching back to the strikingly sculptural speaker of the same name, in which straight and spiral tubes were used to back-load each driver, absorbing unwanted sound. 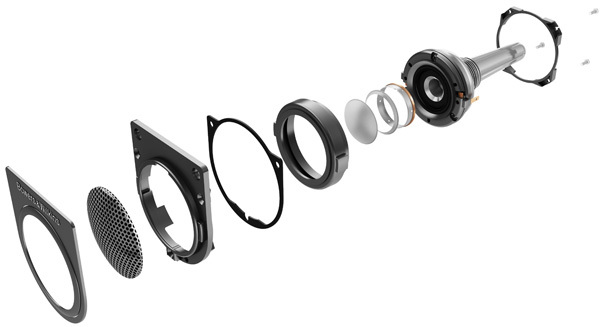 The tweeter also has a metal mesh grille to protect it, B&W saying this ‘has minimal effect on the tweeter output’, and ‘is similar to the mesh used on the CM10, for which the hole pattern was optimised’. As they say in the furniture catalogues, some home assembly is required when the 684s are unpacked, but not much: the plinths have to be attached to the base of the cabinet using bolts, spacers and washers (for which an Allen key is provided), and then either rubber feet – for hard floors – or carpet-piercing spikes and locknuts are fitted to the plinth. 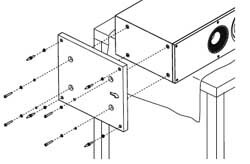 The terminals to the rear of the speakers make provision for biwiring or biamplification should you wish, and for stereo use B&W suggests the speakers be used at least 0.5m from side and rear walls, and between 1.5 and 3m apart, depending on the listening distance. Basically the old idea of the speakers and listening positioning forming the three points of an equilateral triangle applies here, and while there’s no advice about toe-in, I found angling the speakers very slightly toward the listening position, so the outer side-panels of the cabinets were just visible, helped focus the stereo image. Mind you, that’s a personal preference, and depending on your room or your tastes, you might prefer the speakers in strict regimental positioning, firing straight down the room. What’s not in question is the need to give the speakers some work before you form an opinion of how they sound: they’re a bit brash, and light in the bass, straight from the boxes. However, after some use to flex the driver surrounds and get some heat into them, they soon settle down and show just what they can do. 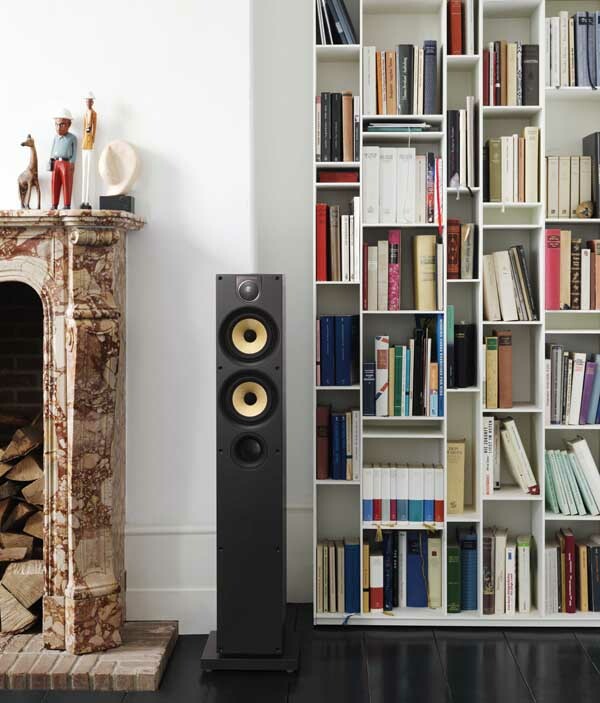 B&W says in the manual that ‘the performance of the speaker will change subtly during the initial listening period. If the speaker has been stored in a cold environment, the damping compounds and suspension materials of the drive units will take some time to recover their correct mechanical properties. The drive unit suspensions will also loosen up during the first hours of use. ‘The time taken for the speaker to achieve its intended performance will vary depending on previous storage conditions and how it is used. As a guide, allow up to a week for the temperature effects to stabilise and 15 hours of average use for the mechanical parts to attain their intended design characteristics. ‘However, longer run-in periods (as long as a month) have been reported and there is evidence to suggest that this has little to do with the speaker changing and more to do with the listener getting used to the new sound. All very sensible advice, treading the path between the obvious mechanical effects and those who’d have you believe that all ‘running-in’ effects are illusory: I found that after the speakers warmed-up – when they were delivered, the outside temperature was fairly low, and they’d been in transit for a day or two – I was able to enjoy them within a day or so of use, and not much changed in their sound beyond that. That’s good news, as it suggests you can soon be listening to what the 864 S2s do so well – and that’s deliver a confident, dramatic view of a wide range of music, with a pleasingly natural tonality, well-weighted and tightly-controlled bass to give substance without impeding the rhythmic flow of music, and plenty of impact and ambience without ever becoming fatiguing. 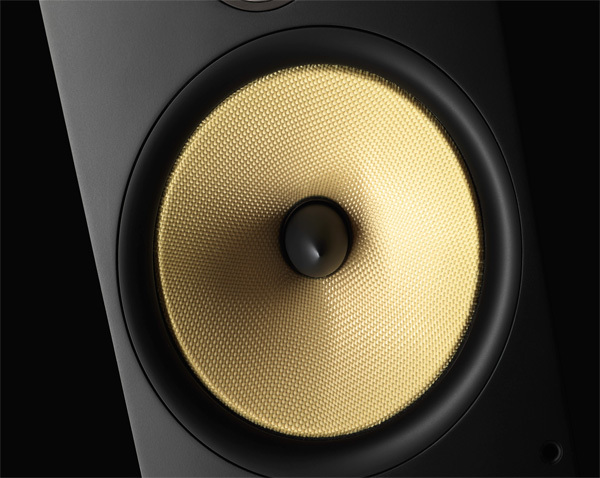 They’re not the biggest-sounding speakers you can buy – for that, perhaps the larger 683s better might suit the bill, especially if you have a very large room –, but music never sounds lightweight or anaemic. The scale of, say, a full-band symphonic work or driving rock is (at least with the right amplifier and source) delivered as impressively as you’re going to get from any speaker this side of £1000. In the time I’ve so far spent with the B&Ws, they’ve been used with both my NaimUniti desktop system and my main Naim NDS/555 PS/Supernait 2/HiCap system; on the end of my Onkyo TX-NR818 AV receiver and an Anthem MRX510 I am working on for a future review; and with the impressively precise Devialet 170 amplifier, also destined for a future Gramophone review. Indeed, I’ve just been using the B&Ws as my everyday speakers, to which they are ideally suited: are extremely revealing speakers for the money, giving excellent insight into anything from simple chamber works to a full orchestra or choral ensemble, and from noodling jazz through to ‘made for radio’ pop or slamming rock. Nothing really caught them out: they just delivered striking clarity and intelligibility even with very complex recordings, and proved very easy to drive, but at the same time very revealing of the amplification with which they were used. B&W quotes 87dB/W/m sensitivity and 8ohm nominal impedance, falling to a minimum of 4ohms, and suggests amplifiers from 25W upwards will be sufficient to drive them. While they’ll certainly work well enough with low-powered amplifiers, as some experimentation showed, they do rather thrive when connected to something with rather more power (they can be used with amplifiers of up to 150W), which has the effect of making the most of their superb dynamic ability and openness. They worked extremely well on the end of my reference Naim Supernait 2 amplifier, sounded huge if occasionally a shade over-exuberant when connected to an Onkyo TX-NR818 AV receiver, and were sweet and entirely controlled when coupled with the Devialet. What I heard suggests they’d also be a fine match for the Rotel amplifiers B&W distributes: the little RA-10, at around £350, would be more than up to the job in smaller rooms, while I could imagine the 684s partnering very well with the rather more potent RA-1570, which at £1200 is a more obvious partner for a pair of £800 speakers. However, these should prove very easy speakers to partner with a wide range of source components and amplification, which is just as one would hope for a design clearly aimed at the widest possible appeal. It’s hard not to conclude that B&W has again produced a very commercial design, offering remarkable value for money. Use the 684s with a decent amplifier and CD player or network music player, or with a computer fed straight into the digital input of a suitable amp such as the RA-1570, and you’d have the makings of a very fine system. Another good review Andrew, good to see that Onkyo receiver is still at AE Towers too! The slimness is tempting, but as far as imaging goes can they can do width and height like the 685 sibling? Hi, what is the crossover freq. setting for these speakers if you use a subwoofer? Are these speakers suitable for metal and rock? On most speakers this sort of music sounds very bad. Metal most bad records (loudness war), but i don’t want speakers who let hear the shothcomings. And on most speakers it sounds too bright. Proac D18, Dynaudio Focus 260, PMC; it didn’t sound. And i like a warmer sound and never listen very hard. I’ve heard Monitor audio RX6. Nice, ehthousiasm sound, but too bright and too much bass. I have what maybe a stupid question. Is it possible to have a stereo arrangement with a 684 on one side of the tv and a 685 on the other? I haven’t been able to find an answer online. Thanks. I wouldn’t, mo, as the sound is going to be very unbalanced. I’d stick to two 685s if space is tight. Many thanks. I’m about to buy my first new speakers in 20 years. Can I ask you one other quick question if you don’t mind. I have a zone 2 on my amp and I have the wiring located up a wall in another room. Can I wall mount a small 686 up there, or does it need to be on a stand? Yes, the 686 can be wall-mounted, no problem. Good review thanks, I want to buy some b&w floor standers ,I don’t know what my room size would best suit, it’s 18’x12’by 8′ high, would be grateful for your help. 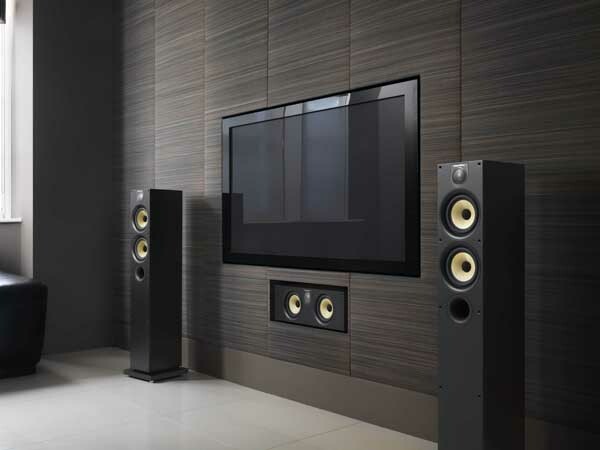 From the 600 range I’d go for these or the larger 683 S2, but if you can extend the budget the CM8 S2 or CM9 S2 would work well in a room that size. to my ear the entire range suffered from this. Great review. Pushed me over the line to get these. I was wondering, however, if a tube amp such as the ARC VSi60 is a good match? Would really appreciate your advise as I can get these at a good price from my friend. Many thanks! How far from the back wall can these be placed? I only have around 30cm. A good 0.5m is suggested: I’d think 0.3m could give you some bass boom problems, especially if the speakers are also close to side walls. They would be about 80cm from the side walls. That distance to the sides will be fine, but they’ll still be a bit close to the rear wall. However, you should be able to tighten up the sound with some toe-in and judicious use of the foam port rings/bungs supplied. Just bought a pair of these, and am simply amazed at the realism and beautiful sound that these speakers produce. Have a Yamaha powered sub, and all fed by a Sony receiver, listening to everything from rock (ELP, PF, ABB, JT, LedZep, Rush, BOC, BTO, etc.) to classical / orchestras to old country & bluegrass to movies & TV shows to Netflix streaming movies and DVD’s, to CD’s and vinyl, to streaming music such as Paradise Radio & YouTube. Awesome wonderful sounds! Thanks B&W! accordi Reflex, e sintonizzare l ‘ambiente sonoro.